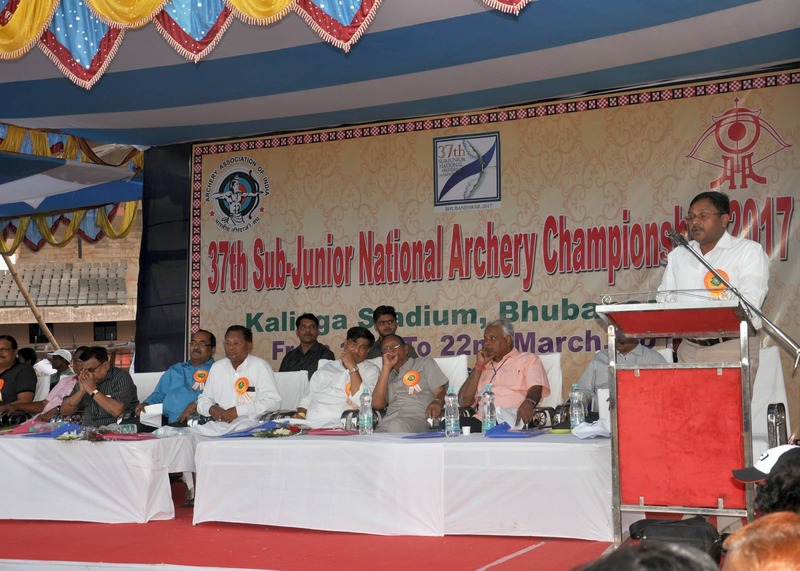 The Concluding Function of the 37th National Sub-Junior Archery Championship was held on the 21st March 2017. The Director of HR, Thriveni Earthmovers, Mr. Saravanan S took part in the Event as the Guest of Honour. Earlier, Thriveni had donated INR Two lakhs for the development of the Game of Archery in Odisha.He Lauded the efforts of Odisha Archery Association for successfully showcasing the National Level Championship and hoped that such events will encourage the budding Archers in more numbers in future.He distributed the prizes to the winners of the championship.The concluding function was also graced by Mr.Ranendra Pratap Swain, MLA Athgarh,Dr A.B.Otta, IAS Revenue Divisional Commisioner,Central Division and Mr.Sradhananda das, Secretary Archery Association,Odisha.